Concepts of discrete mathematics can help clarify a programmer's thinking about software design problems and can make many solutions obvious. 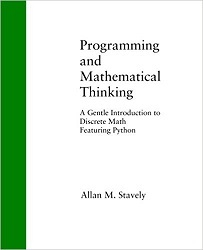 Starting at an elementary level, this book teaches about fundamental structures of discrete mathematics and many simple but powerful programming techniques using those structures. Allan M. Stavely's career in software spans more than 35 years in education (Computer Science, New Mexico Tech), industry (IBM and HP in the US and UK), consulting, and writing. He is the author of Toward Zero-Defect Programming (Addison Wesley Longman) and Writing in Software Development (New Mexico Tech Press).